The ‘Bonny Banks’ and ‘Bonny Braes’ of Loch Lomond have long been Glasgow’s rural retreat – a scenic region of hills, lochs, and healthy fresh air within easy reach of Scotland’s largest city. Since the 1930’s Glaswegians have made a regular weekend exodus to the hills, by car, by bike, and by foot, and today the Lochs popularity shows no sign of decreasing (Loch Lomond is within an hour’s drive of 70% of Scotland’s population). The regions importance was recognised when it became the heart of Loch Lomond and the Trossachs National Park – Scotland’s first national park created in 2002. Loch Lomond is the largest lake in mainland Britain and, after Loch Ness, perhaps the most famous of Scotland’s lochs. Its proximity to Glasgow means that Balloch, Loch Lomond’s shores and Luss get pretty crowded in summer. 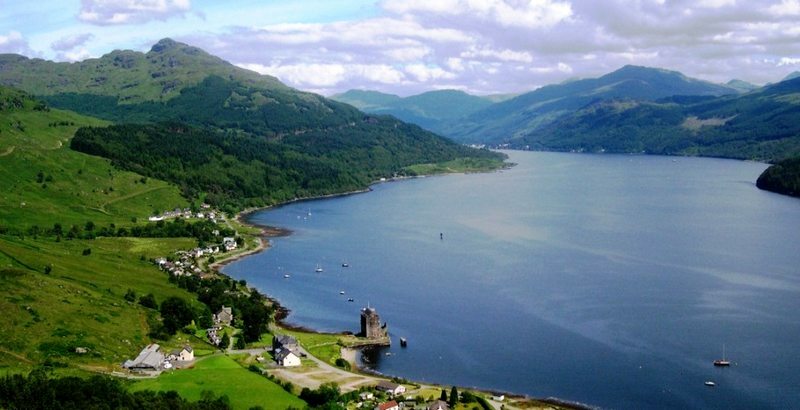 The main tourist focus is on the Lochs western shore and at the southern end, around Balloch. The eastern shore, which is followed by the West Highland Way long-distance footpath is a little quieter. Loch Lomond is a must see on your tours of Scotland.